This movie is an alternative version of the TV series; it is composed of the two 2007 OVAs, edited to improve the pacing of the plot, and an extra segment akin to a TV episode where the cast are given the task of studying flowers. The plot has several differences to the TV series. 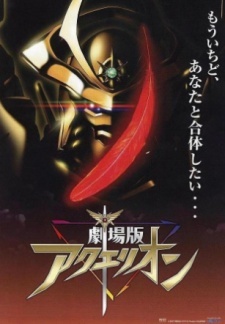 Watch Aquarion Movie: Ippatsu Gyakuten Hen Episodes Online at Animegg.org. Aquarion Movie: Ippatsu Gyakuten Hen is available in High Definition only through Animegg.org. Choose an episode below and start watching Aquarion Movie: Ippatsu Gyakuten Hen in Subbed & Dubbed HD now.